Originally the entrance to the 1893 Chicago Stock Exchange by Dankmar Adler and Louis Sullivan. 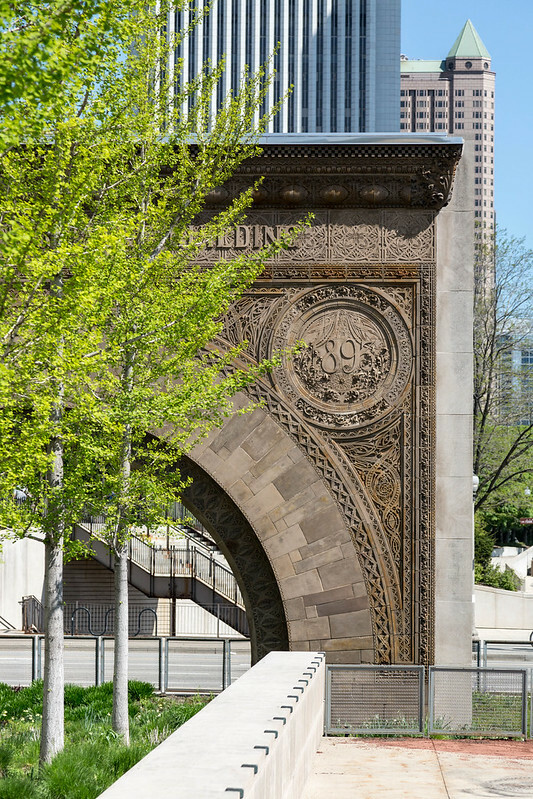 When the Stock Exchange building was tragically and misguidedly demolished in 1977, the arch was reinstalled here outside of the Art Institute of Chicage (the trading floor was rescued and rebuilt as a room inside of the Institute). Image published by string_bass_dave on 2018-07-09 19:40:27 and used under Creative Commons license.